Ice cream, Ice cream we all scream for Ice cream - creating your very own Ice cream sandwich's this summer is a simple treat to add to your Summer bucket list of fun ideas. Beware this is one idea your kids will be screaming for more of. 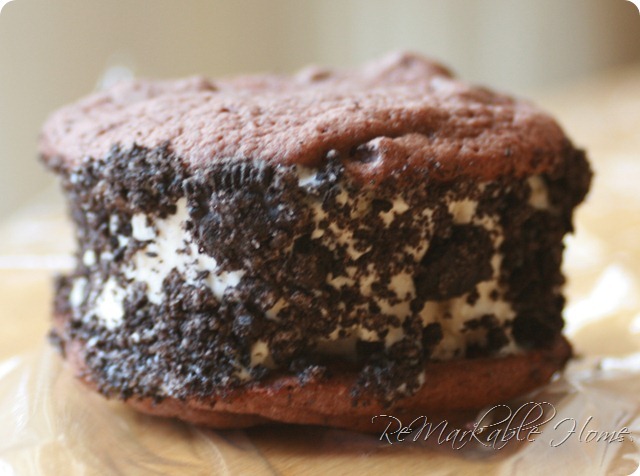 ReMarkable Home created a yummy chocolate cookie rolled in Oreos Ice cream sandwich. Click here for complete recipe and how to instructions. 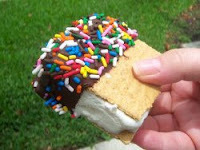 Mr. Food created chocolate dipped Ice Cream sandwich's using store bought graham crackers. Click here for recipe and how to instructions.